Sudden Cardiac Death: Predictors, Prevalence and Clinical Perspectives is a detailed clinical compilation on sudden cardiac death causes. 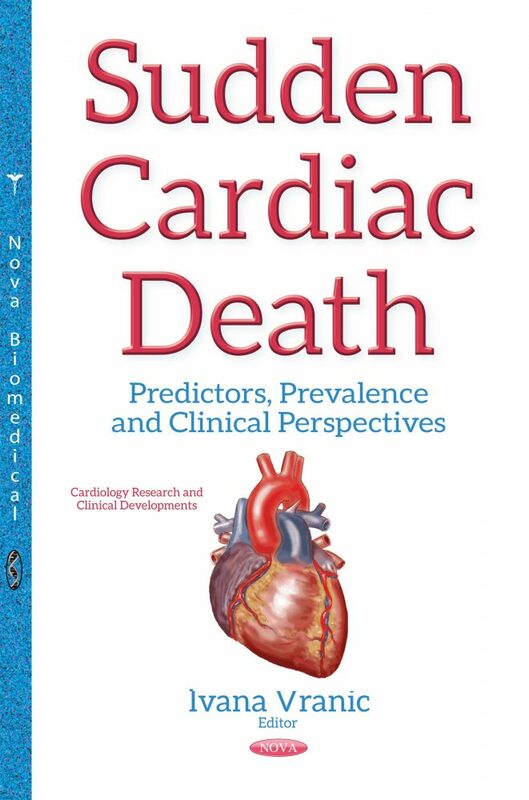 From the various geographical regions of the world comes different clinical perspectives toward the SCD problem that shed light on the predictors and estimated prevalence in genetic inheritance worldwide. For many centuries, the mysterious deaths of prominent professional sportsmen have preoccupied the attention of the media and medical professionals. In some cases, it was possible to obtain the medical histories of the victims, data on the presence of some specific diseases, and conditions or potential symptoms preceding the fatal episode. Various rare inherited syndromes that are associated with congenital heart disease are focused on in this study, and the interrelationship between ventricular premature beats, sustained/non-sustained ventricular tachycardias and ventricular fibrillations are discussed. Cardio-oncology is an emerging field where more and more patients face consequences from radiotherapy and chemotherapy because these individuals become more prone to SCD. Among the most notable developments, three-dimensional echocardiography and myocardial strain imaging are worth noting and might inexpensively improve the current risk stratification process. Recently, a strain that reflects the change of length and thickness of myocardial fibres has been incorporated into the routine clinical practice.